My Knees Hurt- Could They Be Out of Alignment? Do your knees hurt when you kneel on the floor, squat down to pick something up or walk up or down stairs? Do you ever have pain, popping, grinding or a slipping sensation in your knee joint? If so, chiropractic may be your best course of treatment. The knee is the largest joint in the body. The kneecap (patella) bone that covers your knee gives it strength and structure, allowing your legs to bend safely. The knee absorbs an enormous amount of stress and is designed to bend in only one direction. However, many of the movements we make (especially in sports) force the knee to bend slightly in other directions. If the knee alignment becomes disrupted or the joint and surrounding muscles are imbalanced or not strong enough, this can be a recipe for potential knee pain and injury. Patellar tracking disorder is when the kneecap shifts out of its spot as the leg bends or straightens, causing instability. This is commonly caused by alignment issues between your leg and hip, muscular imbalances or weakness in the surrounding muscles and damage to the cartilage. Patellofemoral pain syndrome (also referred to as “runner’s knee”) is common in people who play sports, as it is often an overuse injury. 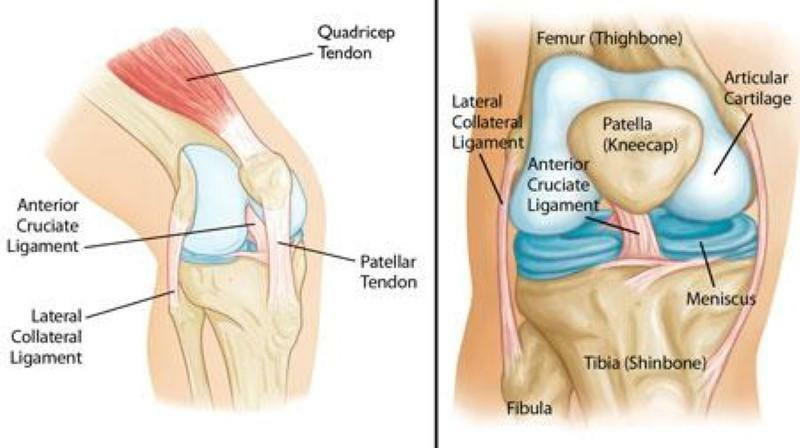 But while overuse is a common cause, misalignment of the kneecap is also a major culprit. After a thorough injury assessment, a chiropractor can determine the reason for pain and type of injury, and can perform a variety of specialized adjustment, manipulation and mobilization techniques that can restore proper alignment in the joint, relieve pain and improve knee function. Chiropractic care is a very effective treatment for knee injuries as it’s a non-invasive, and gentle approach to correcting the problems by bringing the body back into proper alignment so the joint can function properly. For more information about how HealthQuest can help address your knee pain, call our office today at 770.509.3400.